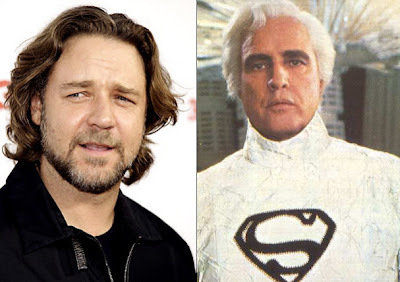 Kryptonian Warrior: Russell Crowe To Play Jor-El In Superman: Man Of Steel? Russell Crowe To Play Jor-El In Superman: Man Of Steel? Don't get me wrong, Russell has done some amazing work and I'm a massive Gladiator fan, but until I see pics or a trailer with him in it I just can't picture him in the role... And if his accent kicks in I'm gonna spew popcorn.